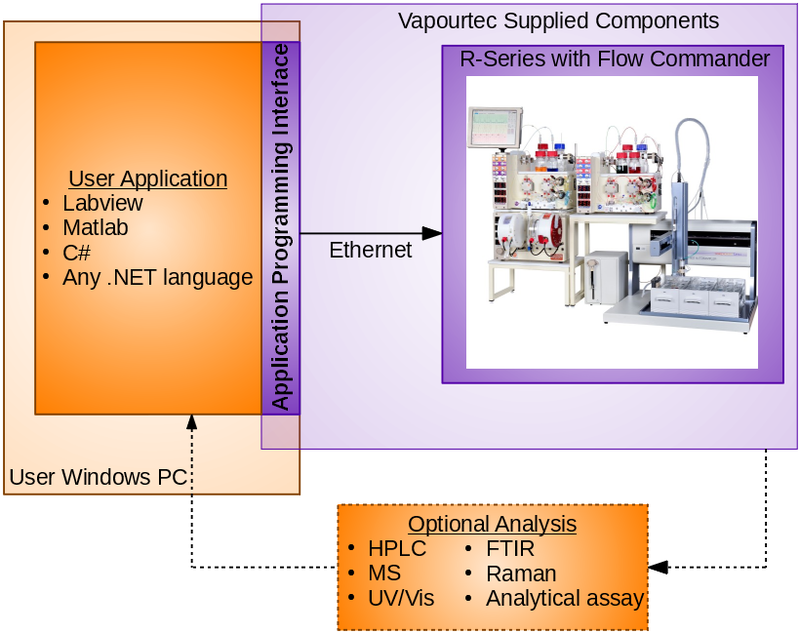 Vapourtec Flow Commander™ has the optional API (application programming interface) allowing the popular R-Series system to be controlled via a network connection. This adds a whole new set of capabilities, which are described below. The API permits high level functions to be invoked, while leaving the resulting low level activities such as pump control, valve timing and dispersion modelling to be controlled entirely by the well proven Flow Commander™ software. Add 1 or more reactions to the queue, specifying all parameters for each reaction. Start (or stop) the sequence of reactions. Monitor status in real-time as reactions are proceeding. The Vapourtec system being controlled may include a fraction collector or an autosampler which can load different reagents into sample loops for each individual reaction. It can execute a “handshake” when an external piece of non-Vapourtec equipment loads the sample loops under control of the user’s own supervisory software. The interface also permits low level access to pump flow rates, valves, temperatures. Low level commands can only be accessed when the system is not already running an automated reaction. This permits a range of novel behaviours to be automated, which were formerly not available through Flow Commander™. There are a number of scenarios which this new API makes possible. optimisation and also for certain analytical processes. 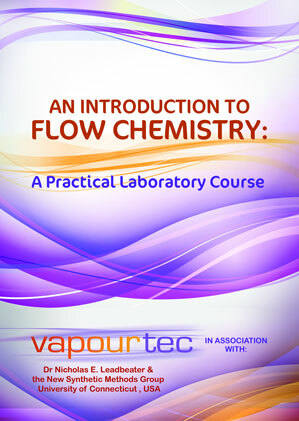 For more information on the API package for Flow Commander™ please contact the Vapourtec sales team using the link below.